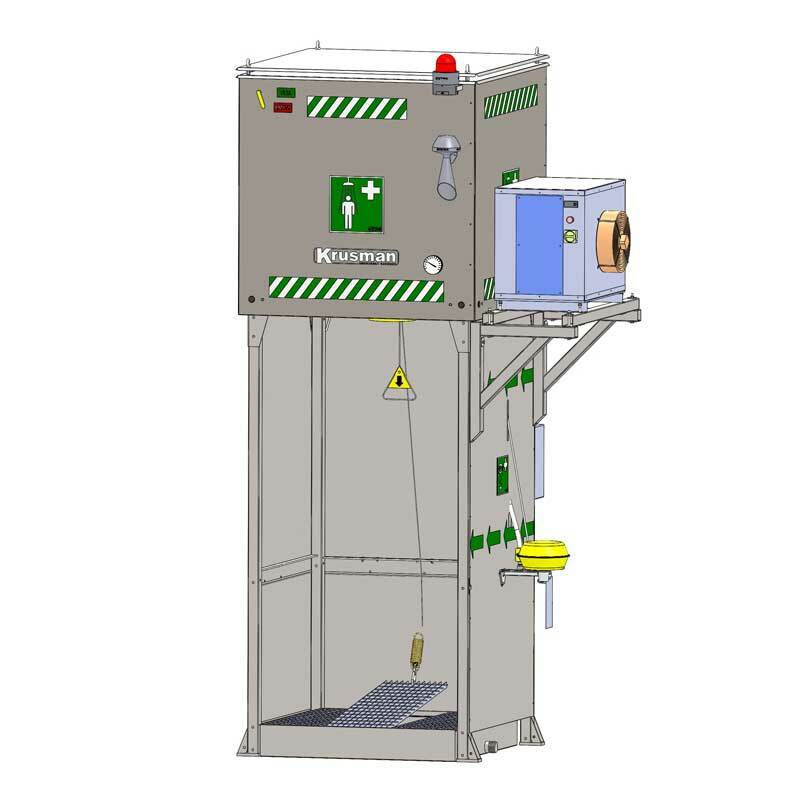 Insulated and gravity-fed emergency tank shower with chiller for hot climates. Flush time of +15 minutes at a guaranteed flow of 76 L/min. 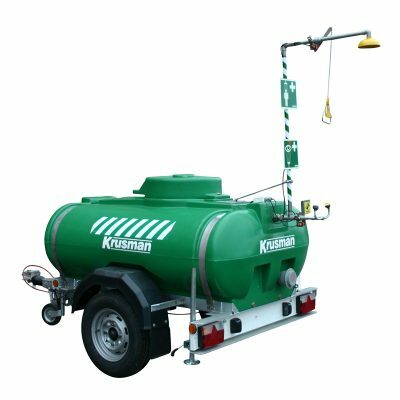 Suitable in areas where there is no main water supply. Emergency shower is operated by a pull handle. Eyewash (optional fitting) is operated by a push plate. Please download data sheet for more information, capacity flow and dimensions. The circulation pump inside the chiller allows the water to flow into the chiller aggregate and verifies the incoming water temperature. If the temperature is too high, the water will be chilled according to desired pre-programmed temperature. 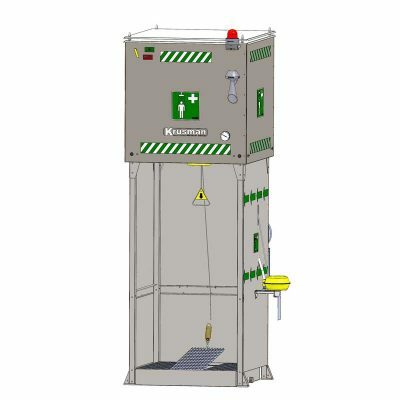 Model also available with explosion-proof construction for EX-Zone 1 & 2 (model 7011-EX). 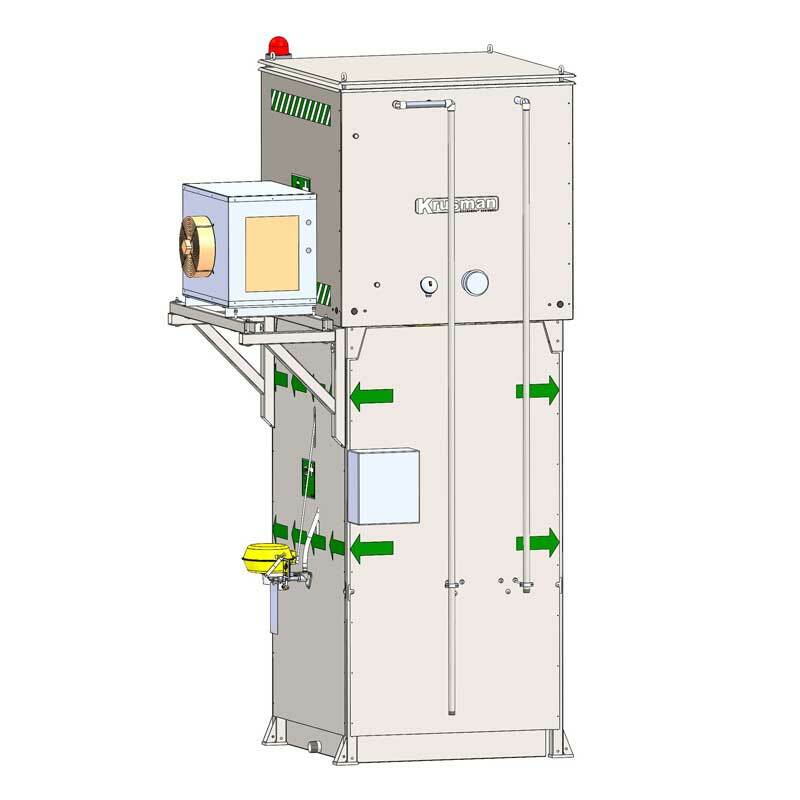 Tank shower excluding chiller see model 7021. Weight: 380 kg (empty and without any optional fittings).